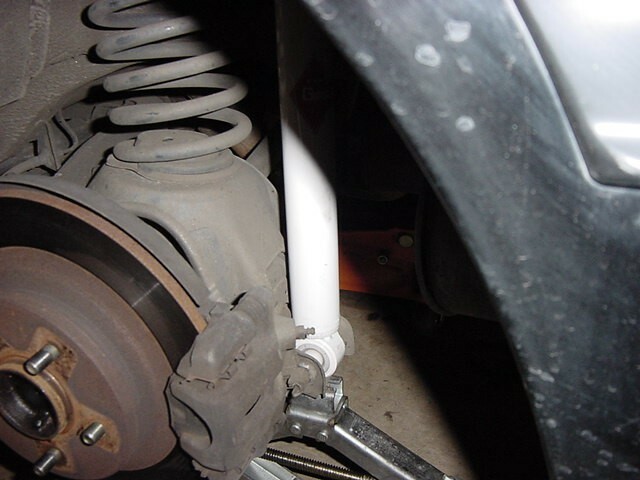 The Purpose of this page is to describe how I replaced the rear factory adjustable suspension on my 84 Nissan 300ZX Turbo with aftermarket, non-adjustable, KYB shocks. 4) Remove the 3 nuts holding the shock studs to the shock plate. [see pic2 above] Photo shows 2 of the 3 nuts you must remove, other is hidden in the shadow on the right. Space is tight, but I used a regular sized ratchet w/ an extension for the easy nut, and just the ratchet and the socket for the other 2 nuts. Edges of shock tower are sharp!, avoid blood loss [see pic2a below]. 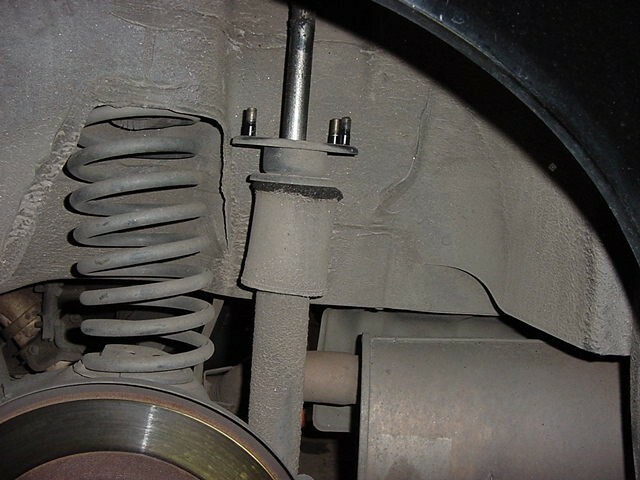 The removed shock plate is shown in [pic2b below]. 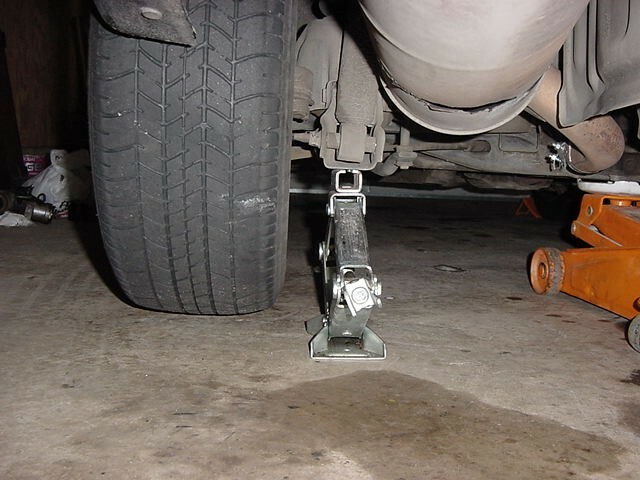 5) Loosen the lug nuts on the wheel. 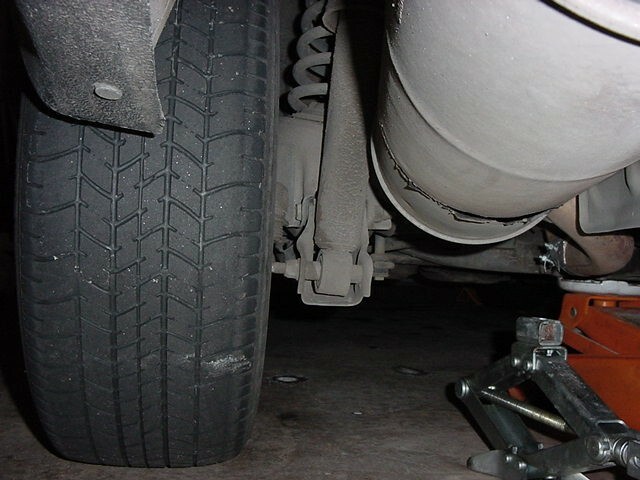 8) When you removed the 3 nuts in ( step 4) above, the shock insulator plate w/ the 3 studs should be free to slide down the shock [see pic5 below] At that point, you can reach the top of the shock in the fender well with a wrench. 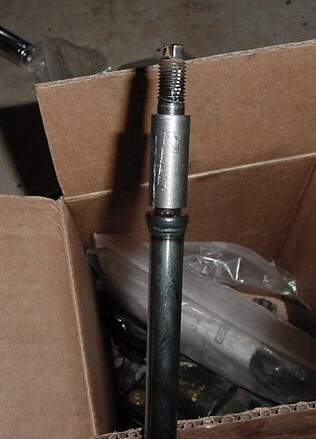 Use the wrench in the fenderwell to keep the shock rod from turning, and wrench the center nut off [see pic6 below]. 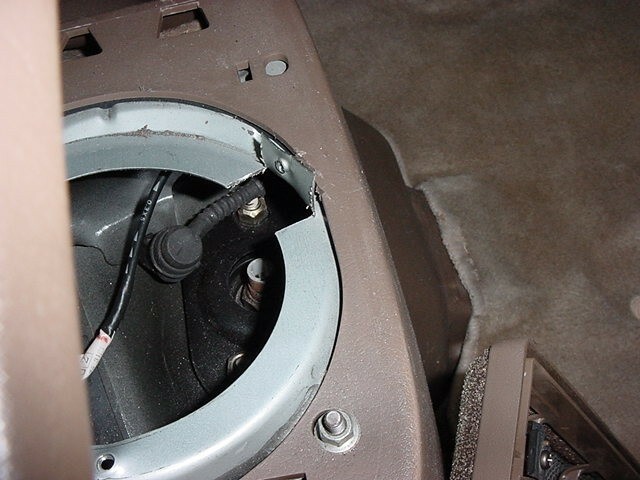 As seen in the photo, you may have to dremel or cut a section of the shock tower in order to reach the nut with a socket. 9) Remove the bolt going through the spring seat stay [see pic4 above]. I used a deep well socket and an adjustable wrench. 10) Wiggle the old shock out of the spring seat stay and slide it out of the fenderwell. 11) I ordered a "kit" to convert adjustable turbo suspension to non-adjustable from Strano's for ~ $50. The kit was pretty wimpy for what it costs. Some people have had luck digging through junkyards and getting non-adjustable suspension parts that way. The reducing sleeve (center of pic) [see pic7 below] has to be slid onto the new shock [see pic8 below]. 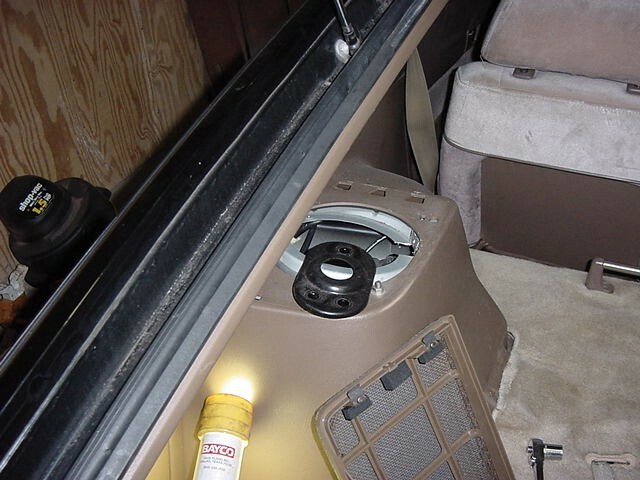 The new bump stop is also included in Strano's kit [see pic9 below]. The other parts you need will come with the shock. 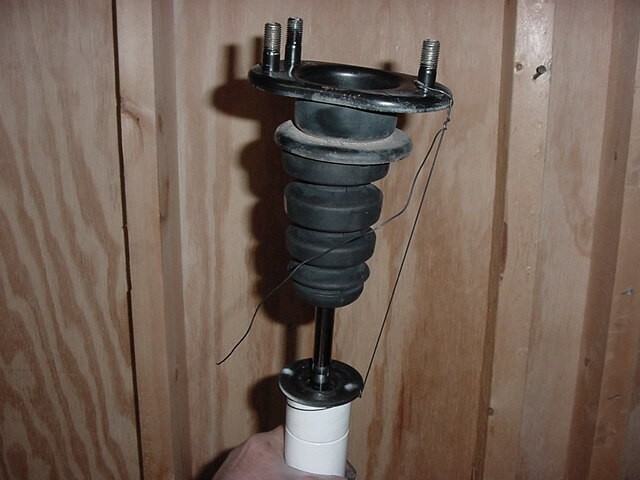 12) After assembling the parts in (step 11) above, I compressed the shock and used some safety wire to keep it this way so that I could install it [see pic9 below]. 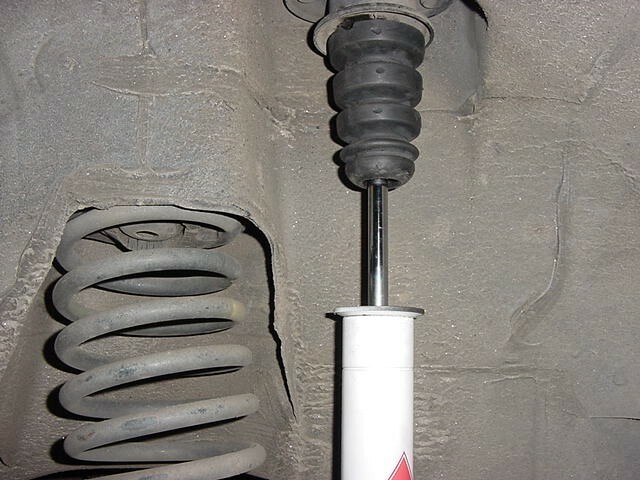 13) Replace bolt removed in (step 9) above into new shock [see pic9b below]. 14) Line studs on top of strut up with holes in shock tower, cut safety wire and allow shock to extend [see pic10 below]. 15) There were no "hold points" for a bottom wrench on the new shock I bought. I improvised with a large pair of pliers and some sticky duct tape, reversing step (8) above to install the new nut on the new shock. 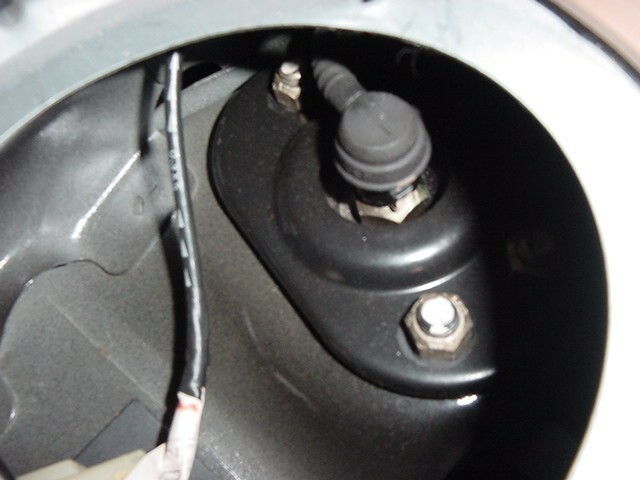 16) Install the old shock plate with the old nuts, reversing step (4) above. 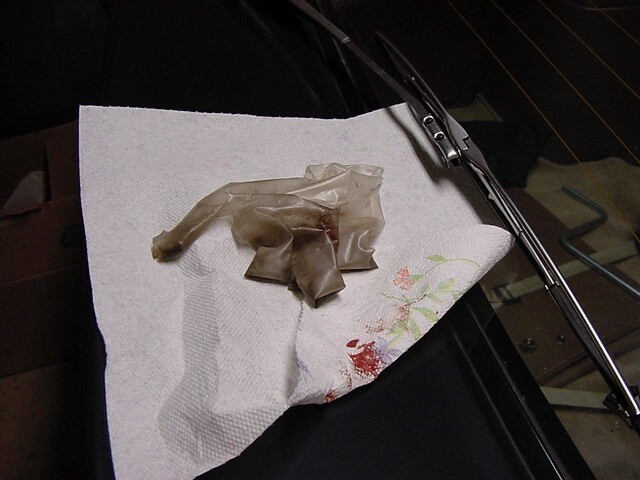 17) I used pliers to bend the tab on the shock tower back down. Plug the speaker back in and screw it back in. Tape the electrical connector for the old adjustable shock out of the way so it doesn't rattle - it is no longer needed. 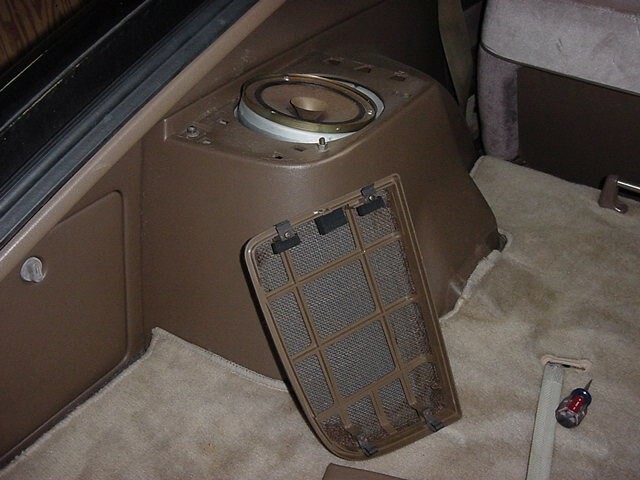 18) Replace the speaker cover. 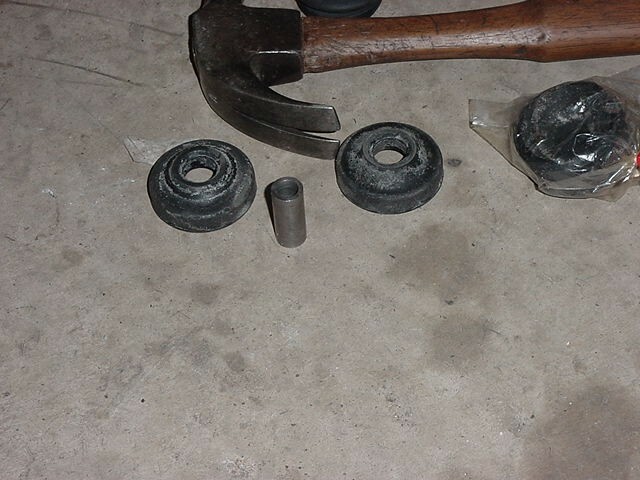 19) Replace the wheel, lower the car, and torque the lug nuts.